Could the New EU Laws On SVOD Content Stunt Its Growth? 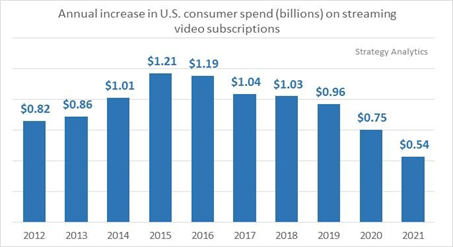 Last year, the demand for SVOD across the globe equated to around a whopping $47.26 billion (US) – and experts predict that this will rise to $75 billion (US) by 2020. That’s a huge rate of growth. With every passing month SVOD and video on demand services are becoming more commonplace in homes all over the world as consumers are getting increasingly savvy to the benefits of video streaming services, especially when it comes to choice, flexibility, value for money and most important of all, autonomy. However, with this healthy growth, signs of saturation may are starting to show. According to a study by Strategy Analytics, Netflix has a commanding 53% grasp of the market, ahead of Amazon Prime Video (25%) and Hulu (13%), and they have estimated that nearly 40% of US homes subscribing to a video streaming service use at least two. These signs of saturation will force the likes of Hulu and Netflix to pursue new growth strategies going forward, but it will also provide opportunities for complementary niche streaming services with a more focused target audience to flourish and develop in the near future. So, it’s clear that the market is thriving and expanding, but what do these new EU SVOD legislations mean? 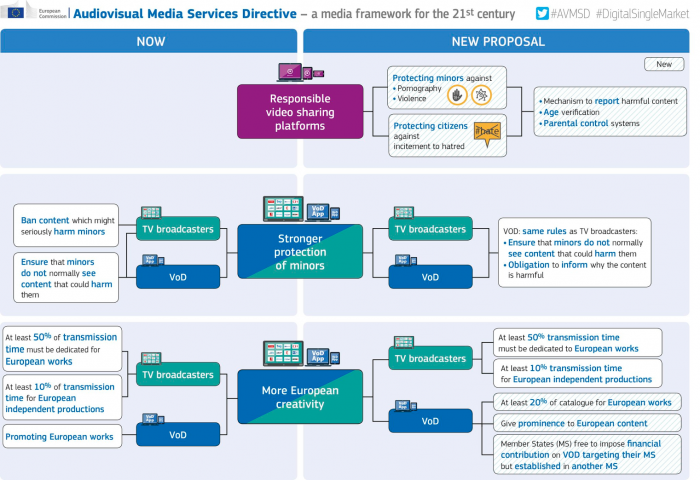 Essentially, the Audiovisual Media Services Directive (AVMSD) are asking all of the EU’s member states to feature a minimum 20 percent of European content in their catalogues – and this affects the likes Netflix and Amazon. In addition to this, the new rules will allow broadcasters greater scope in terms of advertising, increased flexibility on product placement and tighter web security on potentially harmful content (to protect EU minors from violent or hateful content). Of course protecting minors from harmful content is a positive measure (that goes without saying) and the preservation of European culture is valid, but this overall mix of new rules (particularly when it comes to a barrage of advertising and product placement) could leave a sour taste for many loyal EU based SVOD subscribers. Because of these changes, the growth of SVOD could be somewhat stunted; however, there are ways to help prevent this from happening. How do these laws affect SVOD services and producers? This regulation obviously opens a lot of opportunities for niche SVOD services and video producers. Going local will be a more important aspect in the strategies of the big SVOD guns and lot of small, local providers will be knocking on the door looking to grab their piece. In terms of market verticals, we can expect more local movie producers to team up with the service providers and offer their content to the big stage. Sport organisations (teams, leagues and federations) is a dynamic vertical that carefully monitors the potential of OTT and SVOD and slowly begins to launch services that either complement their traditional channels or go with pure over-the-top. SVOD is a force to be reckoned with and as the saying goes ‘with great power comes great responsibility.’ As technology and consumer awareness evolves, so will the way in which content is served and delivered but with online streaming, there will always be opportunities. To see more European grown talent displayed on EU based SVOD services is surely a good thing and when there’s a will to deliver a high-quality user experience to consumers, there’s always a way. And whether you’re a provider or a consumer, we wish you the best of luck. Try Cleeng, it’s absolutely FREE!